As a kid growing up in the Philadelphia area, I could never get one commercial jingle out of my head: The Shoprite Can Can Sale. Incessant television spots advertised the annual event’s amazing deals on house-brand and select brand-name canned goods. If you didn’t get that jingle stuck in your head, you weren’t even human. The Can Can Sale still exists, although you may have to wait a while for the three-week event to roll around every January. But even when it’s not Can Can time, there are lots of ways to save at this mid-Atlantic grocery chain. Each store is independently owned, so be sure to check with store management if you have questions about policies or sales. Here are my favorite strategies for getting the best price, from Shoprite deals and coupons to special events. Sign up for Shoprite’s Price Plus Club for free. Scan your Price Plus Club card at checkout for maximum savings when you shop for groceries. Not only can you load digital coupons onto your card, but scanning your Price Plus Club card also means the cashier will double the value of your manufacturer coupons up to 99 cents! Once you have your Price Plus Club card, sign into Shoprite’s Digital Coupon Center. You can download coupons onto your card for additional savings beyond what’s in the weekly circular. The Digital Coupon Center is easy to navigate, and you can select brands from the left sidebar to fast-track to your favorite products. Be sure to read the restrictions on each coupon to ensure you purchase the right size or amount. Sometimes, loading a digital coupon grants you an additional discount on top of an in-store sale. For example, when I visited my local Shoprite store, I could use the Price Plus Club card to get any four Progresso soup cans for $1.14 each. By downloading a digital coupon onto my card, I could reduce that sale price further to just 89 cents per can. Again, pay attention to purchase requirements when you’re grabbing these deals. For example, “Pick 4” promotions require purchasing four items to get the sale price! Can’t find that sale item you saw in the circular? Stop roaming the aisles and head straight to the Wall of Values (it’s probably by the front door, near the produce section). You’ll only find dry items on the Wall of Values — refrigerated items will be in their typical spots with signs indicating they’re Wall of Value items. Some sale items don’t make it to the weekly ad, so you may be pleasantly surprised when you arrive at the store. Stores indicate manager’s specials with neon signs above or below the sale product. Act quickly — the special price is available for a limited time, though you probably won’t see an expiration date listed on the sign. Check your shopping list, think quickly and make the best decision for your shopping cart! Got extra room in your freezer or pantry? Stock up with awesome $10 Deals. I spotted one deal in the meat section for 8 pounds of either chicken thighs or drumsticks. It may not be a deal you need every day, but a $10 bulk buy could be a smart purchase if you’re throwing a party to watch the big game or need to replenish your freezer. Happy hour at a grocery store? It actually happens. Your experience may vary, but Shoprite locations that sell beer and wine may offer tastings while you shop! At my local store, happy hour runs from 5-7 p.m., five days per week. Try a sample of the day’s selected brew, and if you like it, enjoy a few bucks off a six-pack. My store even advertises live music a few nights each week! Like to send snail mail on special occasions, or just because? Pick up your greeting cards at Shoprite and earn through the Hallmark Card Rewards Program. For every $10 you spend on greeting cards, you’ll get a certificate for $2 off your next purchase. Check with your store’s customer service desk to check program availability and promotion dates. It’s always a good idea to check Ibotta for rebates you can get just by picking up the items on your grocery list. From Coca-Cola 12-packs to pet food to eggs, there’s bound to be a match on your list. Just don’t forget to scan your unlocked deals and take a photo of your receipt once you get home! 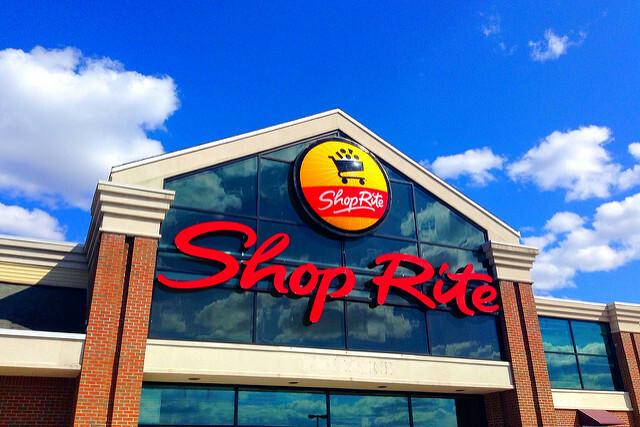 Your Turn: How do you save at Shoprite? Lisa Rowan is a writer and producer at The Penny Hoarder. She always visits Shoprite when she visits her parents in Pennsylvania.